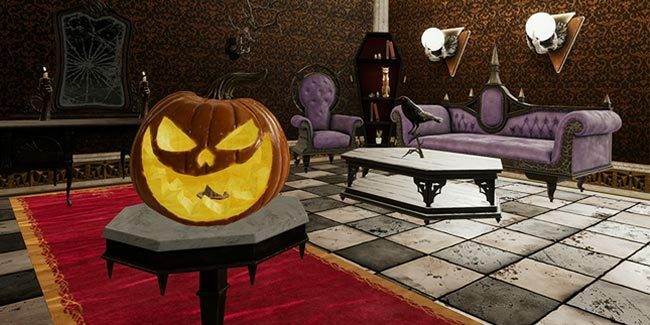 It’s almost time for Halloween, and to help to get you into the festive spirit Oculus is holding its annual pumpkin sculpting contest in Oculus Medium. This year, the Oculus Medium team is introducing two categories to the contest, allowing both new and experienced Medium users to participate for a chance to win. The categories consist of a simple Jack-o-lantern carving or an advanced pumpkin object or scene, which must be made using the base pumpkin sculpt which can be downloaded from the Medium Newsfeed here. Use the base pumpkin sculpt downloadable from the Medium Newsfeed. Submissions must be made in Medium only. Submit three (3) photos and/or a (1) 20-second video of your final sculpt. Submission must be shared to your Medium web gallery (press Share inside Medium and find your sculpt at oculus.com/medium/artists/YourOculusID). Must be 18 year or older, must be in located in United States, United Kingdom, Canada (excluding Quebec), France, Germany, Netherlands, Poland or Japan. Submissions must be original designs! All submitted entries will be judged and awarded points based on a number of factors. According to the judging criteria, 30 points go to interpretation and clarity of theme to the judges/viewers, 30 points go to the structural integrity (if 3D printed and imported into Oculus Home), and 10 points will be awarded for presentation. The winner of the contest will receive a 3D printed version of their creation from the Oculus Medium team, and will also have their creation featured as a decoration available in Oculus Home. The final deadline for submissions is October 21st, 2018 at 11:59pm PST!